On October 26, 2017 Russia conducted its annual strategic forces exercise. Last year, the exercise took place on October 12. The new element this year was that it took place at night. The exercise was said to be a drill of the command and control procedures. President Putin, who participated, personally issued the launch orders. The exercise involved a launch of a Topol/SS-25 ICBM from Plesetsk. The warhead is said to successfully reach its target at Kura. Long-range bombers took part in the exercise as well. The official account says that Tu-160, Tu-95MS, and Tu-22M3 bombers based at Engels, Ukrainka, and Shaykovka launched ALCMs at targets at Kura, Pemboy, and Terekta (Kazakhstan) test sites. 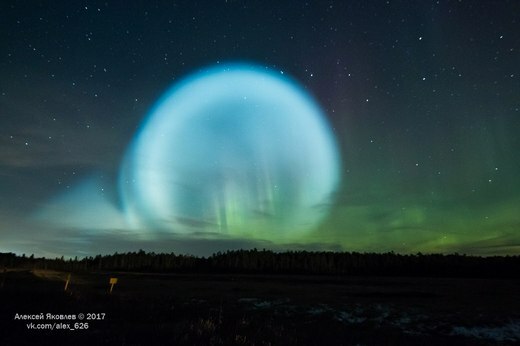 A photographer from Strezhevoy, Tomsk region, Alexey Yakovlev, took a series of spectacular photos of one of the missiles.